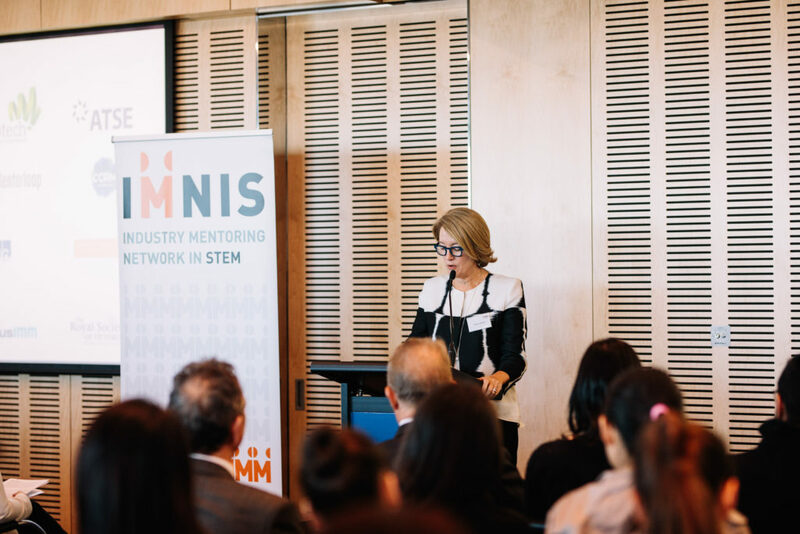 This is the transcript of Dr Jane Latimer’s speech which was originally delivered at the IMNIS NSW 2018 Launch on the 25th of July. Thank you Maggie. It’s an absolute pleasure to be here and to deliver this morning’s address. Thank you for your generous introduction. Let me begin by acknowledging that we meet on the lands of the Gadigal People of the Eora nation and I pay my respects to their elders, both past and present, and I thank them for their custodianship of this land. As I look around it’s wonderful to see you all here today, a network of people who have only been intentionally assembled in recent times – industry mentors who are visionary leaders in STEM, sponsors, and PhD students, the mentees, pursuing academic studies but seeking to understand the complex problems of the real world, so that in the future they can create our ‘remarkable tomorrow’. 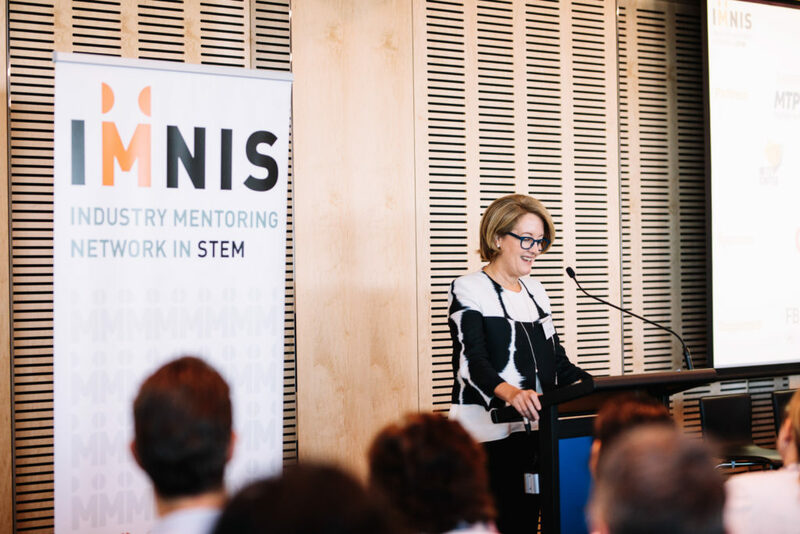 Today I wanted to share with you a little of my own personal journey as a woman in STEM, and what I’ve learnt about visionary leadership and its importance in driving excellence in the way we research, connect, collaborate and innovate. Almost 22 years ago I remember pursuing my own PhD, just as the mentees here today, and wondering what the future might hold. Not for one minute did I dream that this degree would take me from the remote Aboriginal communities of the Kimberley, to meetings at the UN in NY and at APEC in Peru, to working with colleagues at Oxford, to producing documentary films to extend my research, to working with children in rural India; and everywhere in between, all in the name of a career in STEM. But what I did know was that my PhD, just like yours, would give me a platform from which to follow my passions, to imagine, to innovate and to dream big. To do something that would be a force for positive change in the world. At the time I was graduating, academics with a PhD mostly followed a career in academia. The opportunities there were many, for there were few people with PhD’s. But you will be graduating with your PhD into a more uncertain and complex world, a world where the pace of change is accelerating. There’s perhaps never been a more exciting time to graduate and work. I only wish I could start all over again. So while the traditional jobs might be harder to find, there are a myriad of opportunities that exist today that didn’t exist in the past. And that’s why IMNIS is so important – it helps connect these opportunities to you. When I look back over my own career I see a career path that fits with the lifecycle of a female – an Undergraduate degree in physiotherapy with a focus on musculoskeletal disease, a PhD completed part-time while caring for a small baby, maternity leave and leave to care for a mother dying from leukaemia, part-time work yet success as a CIA with NHMRC project grants, a part-time Future Fellowship from the ARC, which really helped accelerate my research career. Part-time work as an academic at the University of Sydney and more recently working with my identical twin sister Liz Broderick, in her organization Elizabeth Broderick & Co. working with government and corporate Australia to create cultural change. At the University the research I have done is not basic science research with test tubes and working in labs, but is clinical research focused on solutions for people and populations affected with disease. My main area of research has been in back pain, where in 1997 I completed my PhD designing the first machine to accurately measure the stiffness of the human spine. I then used this device to better understand the relationship between back pain and stiffness, and to teach physio students to judge stiffness more accurately. The machine consisted of a metal box with a probe that sat above the patient – the probe would push down into their back and measure the stiffness present there. I remember my early testing of the device where I’d convinced my family members to be test subjects, and in particular a few unfortunate incidents where the computer driving the device malfunctioned and my husband became pinned to the bed with the metal probe speared into his spine! It was clear a few adjustments to the prototype were needed. I continued to work in this area until 2003 when our research group expanded and a young psychologist and our first Brazilian PhD students joined our back pain group. Over the next few years we began working more closely with the pharmaceutical Industry who invested heavily in our group as they sought solutions for their customers suffering musculoskeletal pain. The new additions to our group were so important in driving innovation. They brought new ways of thinking – the PhD students were younger, with undergraduate training in different disciplines and from different nations, and consequently they looked at the issue of back pain with a different lens, they broadened our thinking and challenged some of the basic assumptions we held dear. And this reinforced to me the importance of diversity in driving innovation – that you needed to grow a group of people that looked quite different from yourself. In 2008 I made a choice that many said was crazy, that would reduce my opportunities, that was career suicide. But it was an issue I cared deeply about and gave me the opportunity to work with my identical twin sister Liz Broderick, who was at the Human Rights Commission, and some inspirational Aboriginal women living in north western Australia struggling with the scourge of alcohol. And so my collaboration with Aboriginal Australian’s began. You may have heard some of their names. Emily Carter, and June Oscar, now Australia’s Social Justice Commissioner – the first Aboriginal woman to hold that role. Just a few weeks ago June was named NAIDOC Person of the Year. In 2007 June and Emily’s efforts to restrict access to alcohol in the communities of the remote Fitzroy Valley, in the Kimberley, had come to Liz and my attention and we decided to work with June and Emily to raise the visibility of the promising practices they had developed. We agreed to make a short film about the alcohol restrictions and then to screen this in the Australian Federal Parliament and at the United Nations in NY to get decision makers to do more. But this work involved me temporarily moving from LBP researcher to film producer – a job I knew very little about. The project seemed doomed! Luckily I found a generous anonymous donor who agreed to fund the films, and from here a decade of work followed culminating in a large community championed study that sought to determine the number of children in the Fitzory Valley that were affected by fetal alcohol spectrum disorders. FASD is a condition that occurs in children when mothers drink alcohol during pregnancy. Alcohol is teratogenic – damaging the brain of the developing fetus and these children are often born with lifelong learning and behavioural difficulties. In 2015 we reported the first results of our large prevalence study finding that around 20% or 1 in 5 children had a diagnosis on the FASD spectrum, one of the highest rates in the world. FASD is not unique to Aboriginal Australians but is seen in people right across Australia. Aboriginal woman are leading the way in finding solutions for all Australians. In 2016 I began working part-time with my sister in her organization EB&Co. and it is during this time that I’ve had more opportunity to reflect on what makes a visionary STEM leader. After a life in academia working with research leaders, I’ve come to the conclusion that the traits that make a good researcher are often inversely correlated with those that make a visionary leader. For example, excellent researchers need to be obsessive with detail, they must operate with a strong negativity bias as they have a responsibility to find the flaws in all that is presented to them, they must accept nothing on trust but challenge all assumptions, and they must be extremely cautious in their approach not extrapolating too widely. I’ve also seen the frequency with which researchers assign ill-intent to colleagues who hold opposing views, perhaps caused by years of having to robustly defend their own research ideas. So it takes great courage and intention to step outside these ways of operating, to become the visionary leader so important for growing the STEM field. So for the mentees here today, who will become the visionary leaders of tomorrow, here are a few suggestions on some actions you might take that will make you an exceptional leader – one who can connect, collaborate, innovate and create the solutions to the problems of our future. The visionary STEM leaders I have met are those that never stand still, that recognize there is no institution or field in the world that can’t be better. They want to understand closely what’s happening in their institutions. When problems arise rather than avoid these, they lean in to learn the hard truths, not so that they can punish those involved, but so their institutions can learn. Often, they are the people that have been told along the way “You can’t, you won’t, you’ll never …” but they are people who have chosen to follow their own paths, and if there is no path to follow, to create their own. Visionary leaders recognize that the best solutions arise from diversity of thought and that within their research groups or institutions there will be strongly held opposing views. Because of this, discussions can quickly become polarized. Visionary leaders do not assume that those who hold views contrary to their own, come with bad intent. They understand that when we assume good or neutral intent we give our minds a much stronger framework for dialogue. Visionary leaders develop psychological safety within their teams. To be fully present at work, to feel ‘‘psychologically safe,’’ we must know that we can be free enough, to share the things that scare us without fear of recrimination. When chairing meetings visionary leaders ensure equal share of voice and conversational turn taking with everyone having the opportunity to speak, they allow people to add insight from outside their specific area of expertise without fear of recrimination, and they agree to set up confidential spaces for people to disclose the things that aren’t working well, without fearing that the disclosure will spread beyond those walls. Visionary leaders are those who understand the importance of sharing vulnerability, which many of us find very hard to do. We associate vulnerability with weakness. The ability to be vulnerable with colleagues is a vital leadership skill, particularly for building inclusion and for enhancing collaboration and innovation. For example, the breakthroughs that come from being vulnerable enough to speak your truth around a difficult issue; being vulnerable enough to not have answers, or to be wrong; to listen to a perspective that is vastly different to yours and be willing to learn something new in order to identify possible actions to progress a tough challenge. These are all examples of vulnerability that build high performance, that delivers capability, that will provide you with an organisational and research culture where both men and women will thrive. They are part of the same unwritten rules we often turn to, as individuals, when we need to establish a bond. And those human bonds matter as much at work as anywhere else. In fact, they sometimes matter more. And finally visionary leaders are those that have recognised the importance of work life balance and the importance of ‘being’ as well as ‘doing’. It’s only in the last few years I’ve come to understand that for most of my life I have focused way too much on “doing” and not enough on “being”. Being is about stillness, it’s about having presence. It’s hard. But it’s during these times that the clearest thinking occurs and the best ideas arise. So thank you for inviting me to take part in your celebrations today. To the mentees – embrace the mentoring opportunity that has been offered you, follow your interests, try new things, invent your own role. Shape the future. Create a remarkable tomorrow. To the mentors and sponsors, congratulations on your dedication and commitment, for all that you do to make this mentoring network a success, to growing the talent that will ensure a strong and sustainable future for Australia and the world. Know that I will be watching from afar, and celebrating all the successes that you will surely achieve. Thank you. 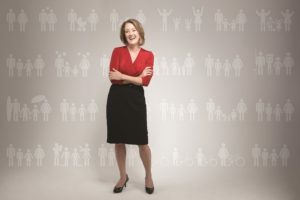 Dr Jane Latimer is Professor and Deputy Director of The Institute for Musculoskeletal Health in the Sydney School of Public Health at The University of Sydney. 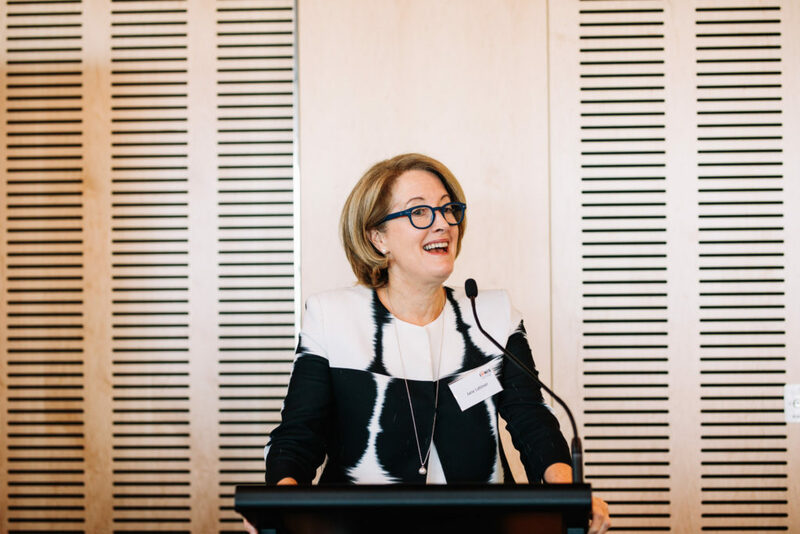 She is also Director, Strategy and Engagement, at Elizabeth Broderick and Co., an organization working within Australia and globally to drive change in the areas of gender equality, diversity and cultural renewal. 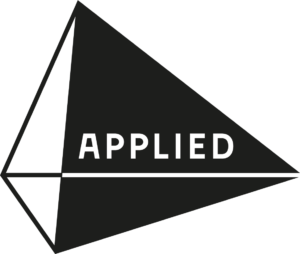 These dual roles provide a unique opportunity to take insights from visionary corporate leaders, who are building the organisations of the future, and use them to grow the vision and careers of academic STEM leaders, and vice versa. Jane’s own research career has focused on the management of musculoskeletal disease, but she has also used her research expertise to impact an area she cares deeply about, that of Indigenous health. More recently she collaborated with Indigenous leaders in remote Australia to address the challenge of fetal alcohol spectrum disorders (FASD). For this work she brought together Aboriginal communities, national and international researchers, FASD clinical experts, governments, philanthropists, the Australian Human Rights Commission, advertising agencies, corporate Australia and filmmakers.